So today I wanted to share with you my shopping wishlist (or just shopping list) for my trip to Japan in January 2018! I am just a few days away from boarding my flight to Thailand where I'll stay for a bout a week and a half before flying to JAPAN! I am SO excited I cannot wait! Since Liz Lisa just released the first round of their Spring 2018 collection and since I've been holding off to buy a lot from their winter 2017 collection, I thought it would be good to compile a list of the things that I want to buy when I get there just so that I remember to pick these things up or at least check them out- and plus this is making me even MORE excited for my trip! If you want to see my wishlist please keep reading! 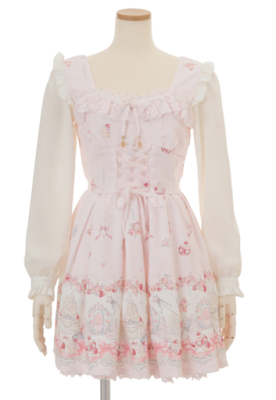 Most of these items are from Liz Lisa but there are also a few times from Ank Rouge that I have been loving that I've included as well. Links to the items are available in case anyone wants to buy anything off my wishlist for themselves! 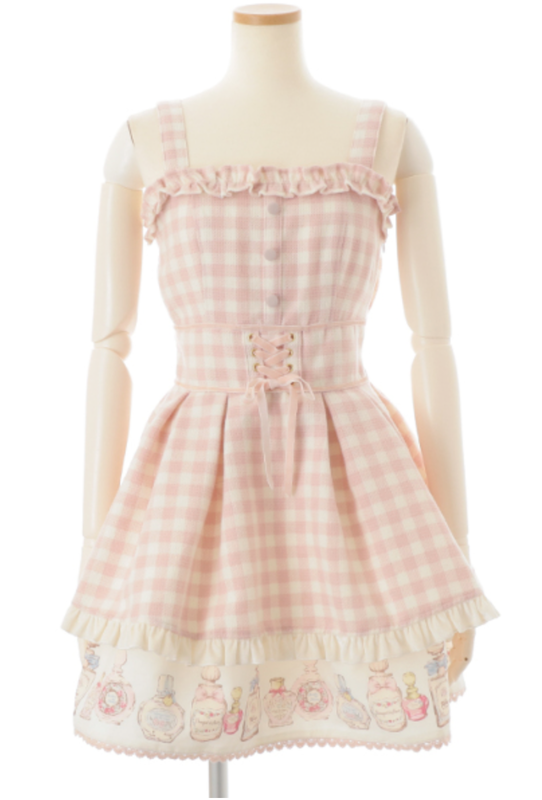 I wanted this dress SO badly when it first came out- I have a huge soft spot for gingham and I just love the perfume bottle print! I seriously ADORE everything from the new spring 2018 releases but this dress has to be my favorite! 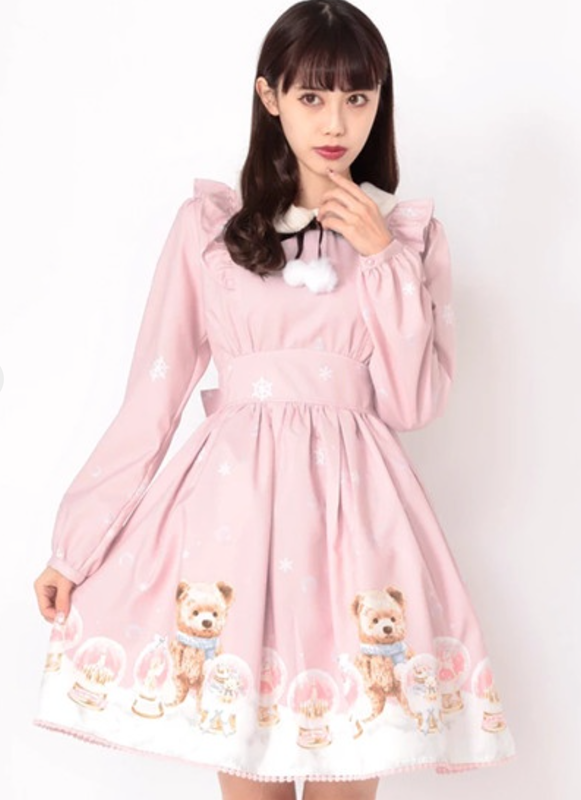 I an a sucker for prints with bears, rabbits, etc on them so this one is certainly no exception! 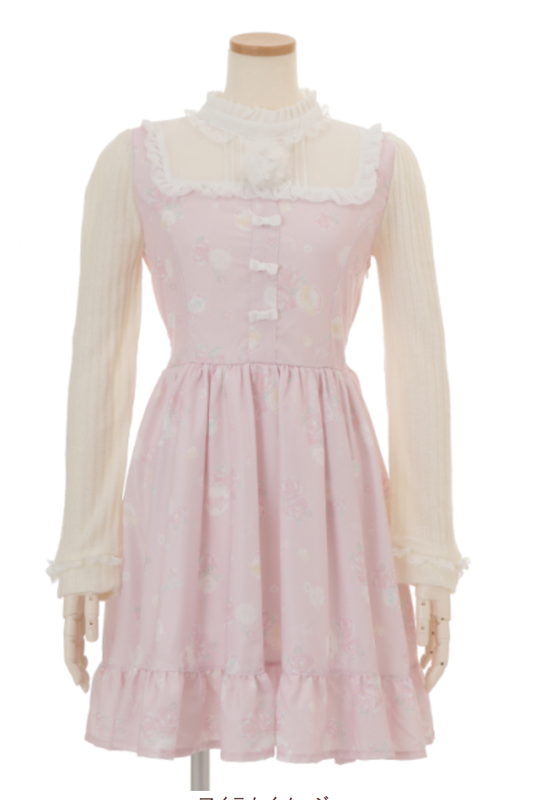 I really love the lavender color way as well but I will have to see it in person before I make my decision... I will probably end up with pink though (who am I kidding). 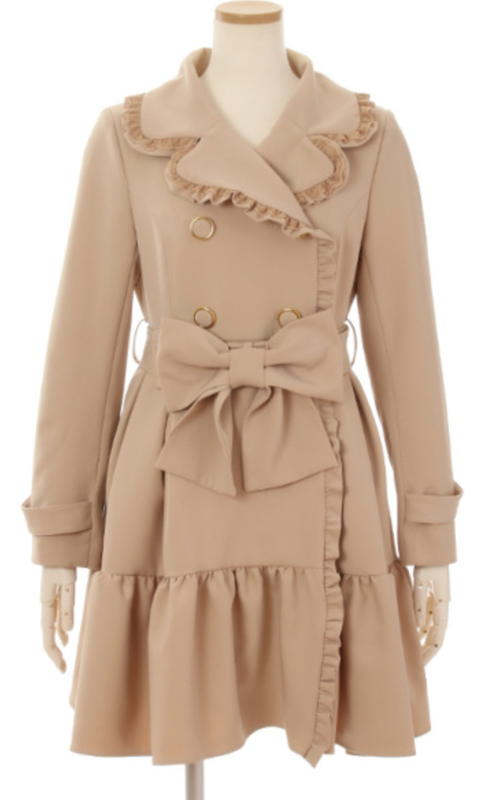 I think this trench is SO cute and I love trench coats so much! I already have two from last spring's collection and don't need any more, but this one seems longer so I like it for that reason (and can justify having two of the same color for that reason?) 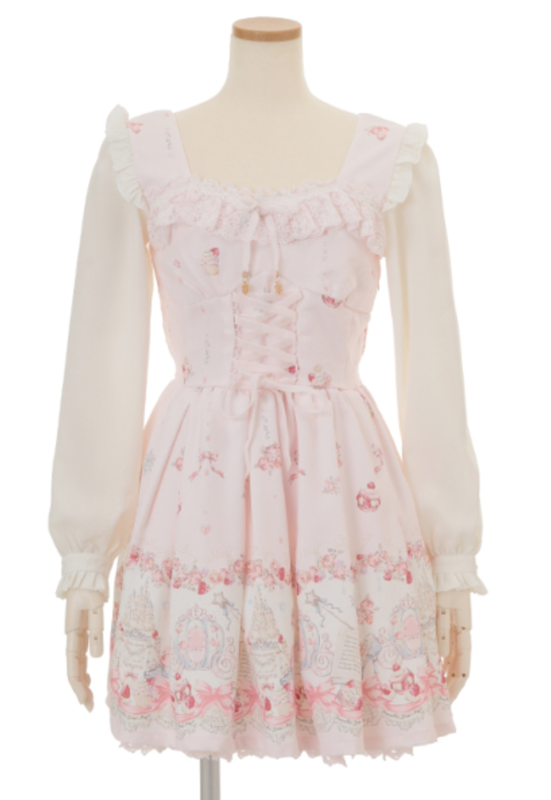 However this is one of the items I'm not 100% sure I want to buy so Ill see how I feel about it when I see it in person! 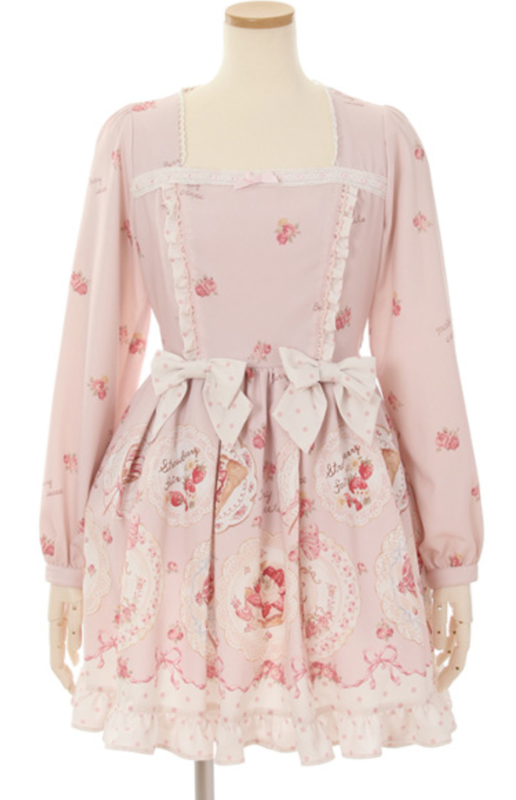 The name of this dress makes me lol but I love the design so much! I'm a little afraid that it might be too OTT for me but I just absolutely love the sweets theme and the ribbons! 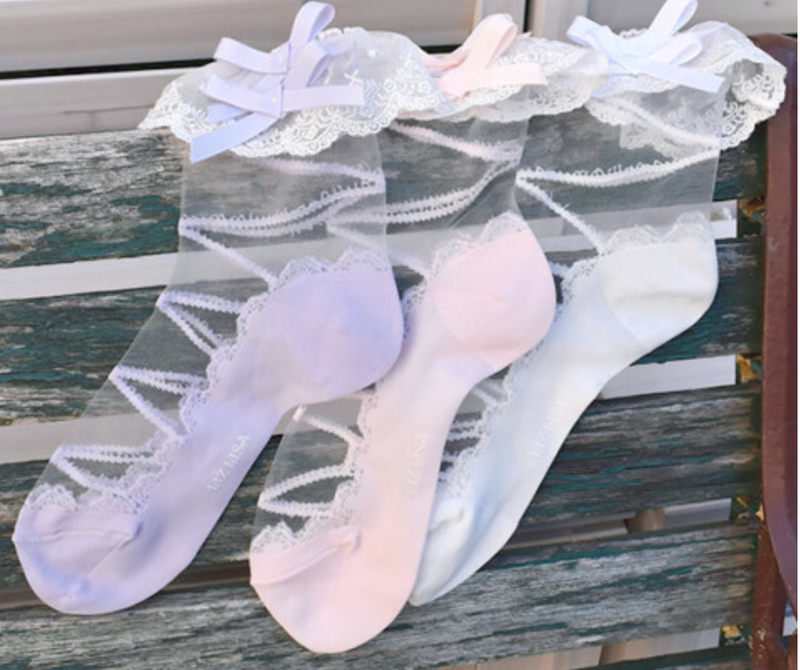 These socks might be a little unnecessary but I LOVE liz lisa socks and I think these are so adorable! The lace up detail is to die for! I was really hesitant about this skirt because although I absolutely love the print, I wasn't sure how the lavender color was going to be so I wanted to wait to see it in person! Chances are I'll probably buy it because I love the little bunnies... but I really wanted to see it for myself before making a move. I have this skit and wanted the dress SO bad but I told myself I had to wait until it went on sale- and its finally on sale! i hope I can buy it there so hopefully its not sold out! 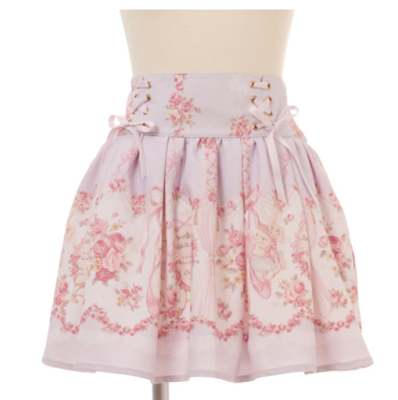 I love this skirt so much! 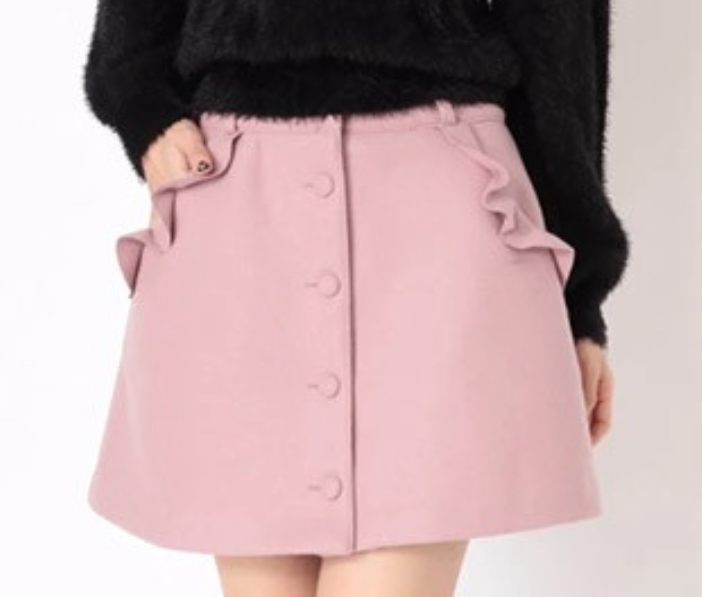 I hesitated to buy it because I already had a grey and pink skirt from Honey Cinnamon but I don't think I could resist this skirt if I saw it in person so this is definitely on my wishlist! I didn't know about these pumps because I'm pretty sure they're in a velvet material but I just love how the bow is removable so you can wear it two different ways! I also really want to buy a pair of heels in Japan so I think these are perfect! 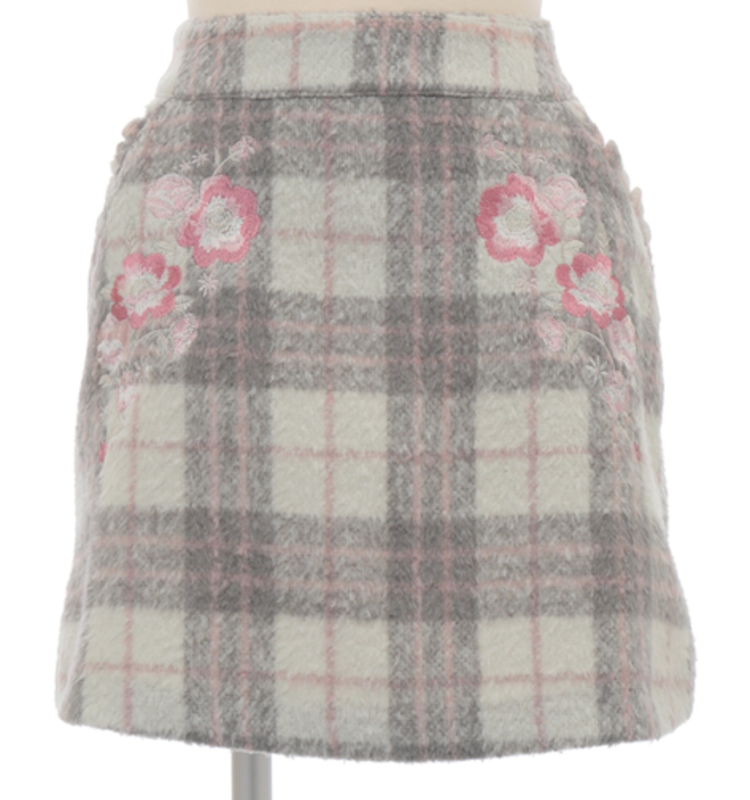 I have this skirt in grey and its one of my favorites! I really want the pink one as well! I CAN'T LEAVE JAPAN WITHOUT THIS! I love this print so much and this dress is just the most adorable thing i've ever seen! I love this one piece so much! 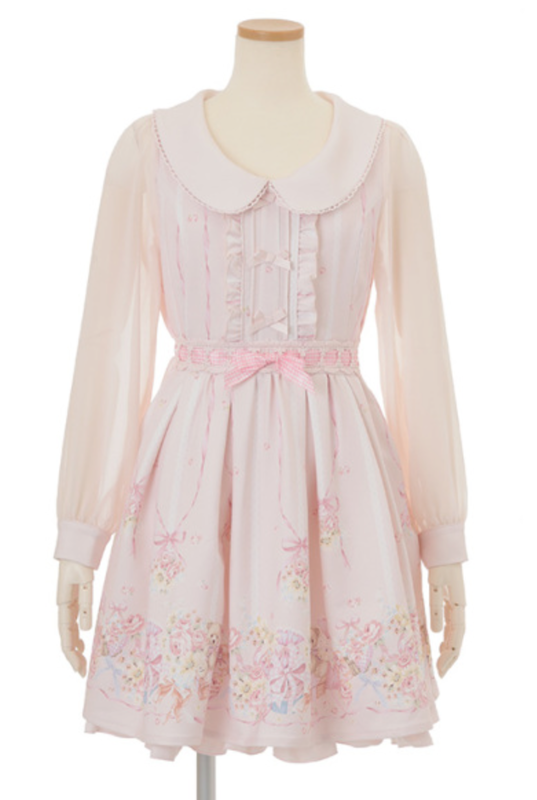 I just love the sweet girly design and I think this would make such a nice addition to my wardrobe! And thats all I have for my wishlist! I can't wait to buy everything! Are any of these items on your wishlist as well? I hope you found this interesting and thank you so much for reading!